Okay, let me explain. 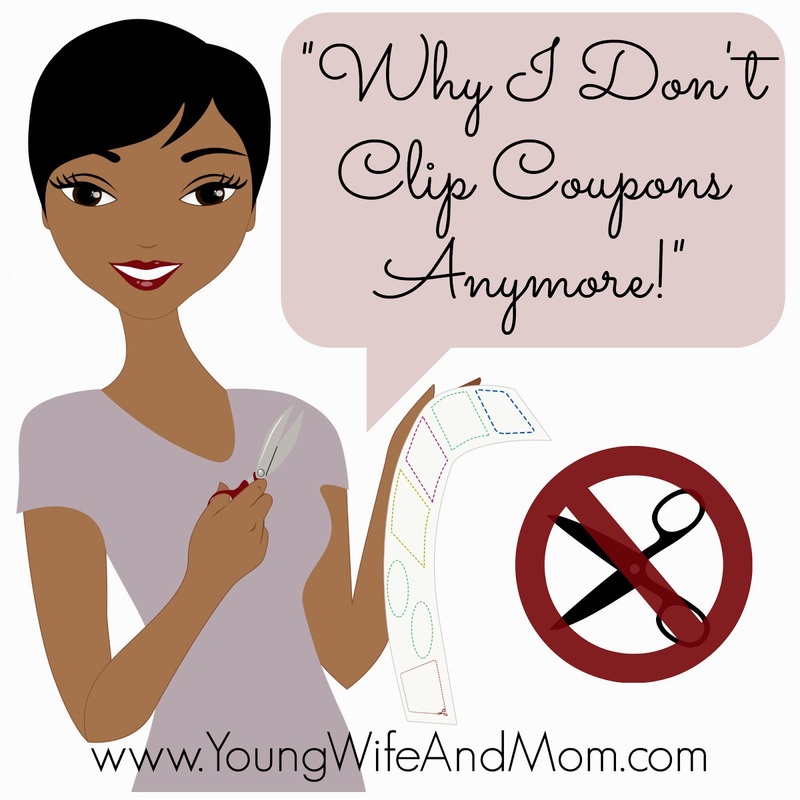 I still use coupons, but I don't clip paper coupons anymore. Yes, yes, I know they can help save you money. But I just don't do it anymore and here's why. They're an investment, albeit a small one but they do cost you. Unless you dumpster dive our someone gives you Sunday newspapers free, you're at least paying $2+ every week. If you print your coupons, your cost consists of printer ink and paper. I would buy the newspaper and print coupons, but never got around to actually using the majority of them before they expired. I don't have the energy. It gets too tedious for me to sort through the papers and cut each and every one of those coupons out. I'm not organized. I tried the coupon binder system, envelope system, etc and they don't work for me. I leave them at home and tend to forget and/or misplace paper couplings easily. Some even get tossed if hubby cleans up for me. They can be a pain at checkout. I don't fight for my coupons. If they give the cashier trouble, a lot of stores won't accept them & even reserve the right to turn any coupons away for any reason. I went digital. Digital coupons are awesome. Using my store loyalty card, I load coupons that I want and can print my coupon list off for reference while shopping. They come off at checkout & I haven't had any problems yet. I don't have to tote a coupon binder & can even add more coupons in the store with mt phone app. If I'm buying more than one of the item, then I lose out (I guess) but saving a little is better than none. It's okay to agree or disagree with me on this. It's just not for me anymore. Are you still using paper coupons?